It was way back in 1991 when Dr Karl Shuker's second book, Extraordinary Animals Worldwide, was published. Containing accounts of lesser-known mystery beasts and scarcely-known mainstream creatures, and plentifully supplied with exquisite antiquarian chromolithographs, engravings, and other vintage illustrations wherever possible, it purposefully recalled a bygone generation of natural history books, dating predominantly from the 19th and early 20th Centuries, whose subject matter, generally a deft, eclectic interweaving of speculative zoology, the history of animal discovery, and wildlife mythology of the ancients, was popularly referred to by its authors and readers alike as romantic zoology. Such was the enduring appeal of Dr Shuker's book's modern-day contribution to this now all-but-lost subject – indeed, eventually gaining a cult status among mystery beast aficionados in particular – that he was encouraged to prepare a much-expanded, updated edition, entitled Extraordinary Animals Revisited, which was published in 2007 by CFZ Press. Updating some of the most popular chapters from the original book and also adding many new ones, it went on to attract an even greater following than its predecessor, and remains in print today. By 'mixing and matching' cryptozoology (the scientific study of mystery animals) with mainstream zoology, these two books enabled Dr Shuker to include within a single volume a uniquely diverse array of creatures. Consequently, it would only be a matter of time before he gave into temptation and compiled a third compendium of extraordinary animals - and here it is. So, welcome one and all to Dr Shuker's Menagerie of Marvels! Where else would you encounter fairy armadillos and go-away birds, roc feathers and a werewolf paw, a park of monsters in Italy and mystery beasts in the Vatican, whale-headed pseudo-pterodactyls and hammer-headed lightning birds, beech martens in Britain and winged toads in France, an invisible catfish and a dicephalous kestrel, reverse mermaids and the music of Ogopogo, earth hounds, moonrats, kinkimavos, lavellans, nandinias and Nandi bears, ajolotes, bristle-heads, mammoths, hoopoes, gorilla-sized man-eating baboons and giant rhino-eating terror birds, lake monsters and sea serpents, leopons and lizard cryptids, vermiform rock-slicing laser gazers, and so much more too, all within the scenic yet comfortingly-secure confines of a single book? Enjoy your visit, and return whenever you wish – Dr Shuker's unique collection of extraordinary zoological esoterica and inexplicabilia will always be here to mystify and mesmerise you anew. You have only to open the book, turn the page, and step inside...if you dare! Born and still living in the West Midlands, England, Dr Karl P.N. Shuker graduated from the University of Leeds with a Bachelor of Science (Honours) degree in pure zoology, and from the University of Birmingham with a Doctor of Philosophy degree in zoology and comparative physiology. He now works full-time as a freelance zoological consultant to the media, and as a prolific published writer. Dr Shuker is currently the author of 21 books and hundreds of articles, principally on animal-related subjects, with an especial interest in cryptozoology and animal mythology, on which he is an internationally-recognised authority, but also including a poetry volume. In addition, he has acted as consultant for several major multi-contributor volumes as well as for the world-renowned Guinness Book of Records/Guinness World Records (he is currently its Senior Consultant for its Life Sciences section); and he has compiled questions for the BBC's long-running cerebral quiz 'Mastermind'. He is also the editor of the Journal of Cryptozoology, the world's only existing peer-reviewed scientific journal devoted to mystery animals. Dr Shuker has travelled the world in the course of his researches and writings, and has appeared regularly on television and radio. Aside from work, his diverse range of interests include motorbikes, travel, quizzes, poetry, the life and career of James Dean, Sherlockia, collecting masquerade and carnival masks, philately, world mythology, and the history of animation. He is a Scientific Fellow of the prestigious Zoological Society of London, and a Fellow of the Royal Entomological Society. He is Cryptozoology Consultant to the Centre for Fortean Zoology, and is also a Member of the Society of Authors. There is also an entry for Dr Shuker in the online encyclopedia Wikipedia at http://en.wikipedia.org/wiki/Karl_Shuker and a Like (fan) page on Facebook. Mystery Cats of the World: From Blue Tigers To Exmoor Beasts (Robert Hale: London, 1989). Extraordinary Animals Worldwide (Robert Hale: London, 1991). The Lost Ark: New and Rediscovered Animals of the 20th Century (HarperCollins: London, 1993). Dragons: A Natural History (Aurum: London/Simon & Schuster: New York, 1995; republished Taschen: Cologne, 2006). In Search of Prehistoric Survivors: Do Giant 'Extinct' Creatures Still Exist? (Blandford: London, 1995). The Unexplained: An Illustrated Guide to the World's Natural and Paranormal Mysteries (Carlton: London/JG Press: North Dighton, 1996; republished Carlton: London, 2002). From Flying Toads To Snakes With Wings: From the Pages of FATE Magazine (Llewellyn: St Paul, 1997; republished Bounty: London, 2005). Mysteries of Planet Earth: An Encyclopedia of the Inexplicable (Carlton: London, 1999). The Hidden Powers of Animals: Uncovering the Secrets of Nature (Reader's Digest: Pleasantville/Marshall Editions: London, 2001). The New Zoo: New and Rediscovered Animals of the Twentieth Century [fully-updated, greatly-expanded, second edition of The Lost Ark] (House of Stratus Ltd: Thirsk, UK/House of Stratus Inc: Poughkeepsie, USA, 2002). The Beasts That Hide From Man: Seeking the World's Last Undiscovered Animals (Paraview: New York, 2003). Extraordinary Animals Revisited: From Singing Dogs To Serpent Kings (CFZ Press: Bideford, 2007). Dr Shuker's Casebook: In Pursuit of Marvels and Mysteries (CFZ Press: Bideford, 2008). Dinosaurs and Other Prehistoric Animals on Stamps: A Worldwide Catalogue (CFZ Press: Bideford, 2008). Star Steeds and Other Dreams: The Collected Poems (CFZ Press: Bideford, 2009). Karl Shuker's Alien Zoo: From the Pages of Fortean Times (CFZ Press: Bideford, 2010). The Encyclopaedia of New and Rediscovered Animals: From The Lost Ark to The New Zoo – and Beyond [fully-updated, greatly-expanded, third edition of The Lost Ark] (Coachwhip Publications: Landisville, 2012). Cats of Magic, Mythology, and Mystery: A Feline Phantasmagoria (CFZ Press: Bideford, 2012). Mirabilis: A Carnival of Cryptozoology and Unnatural History (Anomalist Books: New York, 2013). Dragons in Zoology, Cryptozoology, and Culture (Coachwhip Publications: Greenville, 2013). 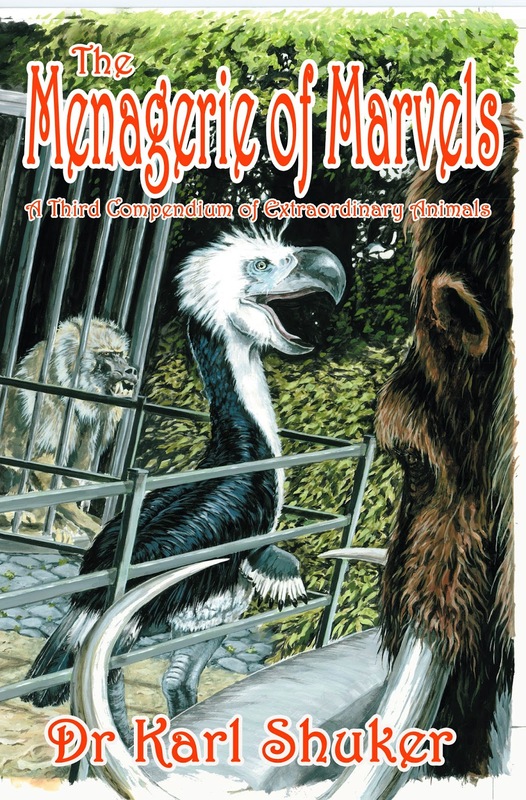 The Menagerie of Marvels: A Third Compendium of Extraordinary Animals (CFZ Press: Bideford, 2014). Man and Beast (Reader's Digest: Pleasantville, New York, 1993). Secrets of the Natural World (Reader's Digest: Pleasantville, New York, 1993). Almanac of the Uncanny (Reader's Digest: Surry Hills, Australia, 1995). The Guinness Book of Records/Guinness World Records 1998-present day (Guinness: London, 1997-present day). Of Monsters and Miracles CD-ROM (Croydon Museum/Interactive Designs: Oxton, 1995). Fortean Times Weird Year 1996 (John Brown Publishing: London, 1996). Mysteries of the Deep (Llewellyn: St Paul, 1998). Guinness Amazing Future (Guinness: London, 1999). The Earth (Channel 4 Books: London, 2000). Mysteries and Monsters of the Sea (Gramercy: New York, 2001). Chambers Dictionary of the Unexplained (Chambers: Edinburgh, 2007). Chambers Myths and Mysteries (Chambers: Edinburgh, 2008). The Fortean Times Paranormal Handbook (Dennis Publishing: London, 2009). Plus numerous contributions to the annual CFZ Yearbook series of volumes. Journal of Cryptozoology (the world's only peer-reviewed scientific journal devoted to cryptozoology, published by CFZ Press). High ocean temperatures endangering seabirds? Yesterday was a peculiar day. I seemed to be rushing around like that mythical creature called the oozelum bird who flies backwards until it disappears into its own orifice. However, in no particular order, I finished another Mike David video, started this coming weekend's Gonzo Weekly, found out to my pleasure that the powers that be have restored the cumulative viewing statistics that I thought had been lost forever from Flipsnack, Tammy told me with a grin broad enough to threaten to split her face in two, that Calpurnia the tortoise has finally put on weight, I spent hours coding a 'special offers for Christmas' page on the CFZ blog, I added young Harry Wadham to the paid workforce, and ate some Chilli. And this morning I wake to piles of things that need to be done, a client banging on my office window, and the embargoed Rocket Scientists album that I have very much been looking forward to hearing. Business as usual really. It has The Pink Fairies on the cover, and features an interview with Andy Colquhoun about the current and future plans of the band including the long hoped for studio material. Rob Ayling visits legendary blues guitarist Mick Abrahams in his studio and find out about his exciting new album made with some very A-List sparring partners. Erik Norlander is very cagey about the new album from Rocket Scientists. But there's more! There is news about Daevid Allen, Doug Harr goes to see America and also gets hitched, Jon waxes lyrical about the new Pink Floyd album and then gets all existential. Xtul are still in the deep woods, and Corinna finds some real Beatles tat. Jon looks at a peculiar book about Jon Lennon and we send the mighty John Ellis (ex Vibrators and Stranglers and sidesman to Peter Gabriel and Peter Hammill to a desert island. There are also new shows from the multi-talented Neil Nixon at Strange Fruit and from M Destiny at Friday Night Progressive, and the massively talented Jaki and Tim are back with their submarine and Maisie the cow. There is also a collection of more news, reviews, views, interviews and turtles having a snooze (OK, no soporific chelonians, but I got carried away with things that rhymed with OOOOS) than you can shake a stick at. And the best part is IT's ABSOLUTELY FREE!!! These Bigfoot Paintings By Joe Mastroianna Are Beautiful, Aren't They? Reportedly shot in Anaheim - It appears to be a guy in a bigfoot suit. KITTEN THERAPY - ANSWER TO STRESS? IS THIS A SMALL BIGFOOT? 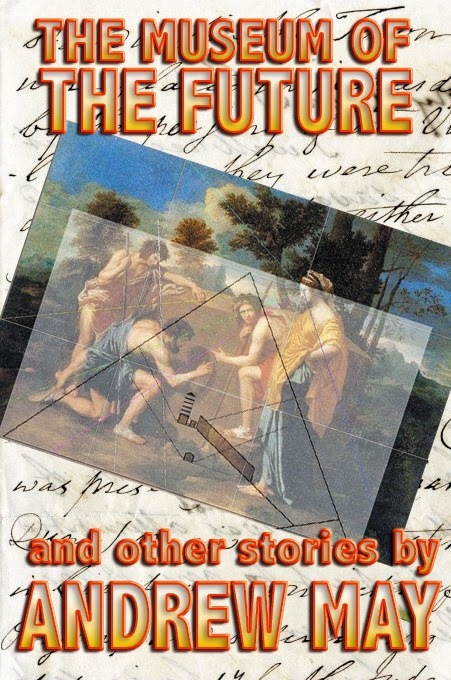 Twenty tales of High Strangeness featuring conspiracy theorists, mad scientists, hippies, geeks and miscellaneous weirdos: A group of Cambridge academics investigate a crashed UFO... An outcast scientist discovers the secret of anti-gravity... A paranormal author finds himself prime suspect in the Case of the Purloined Poe... A student has a bewildering vision of the future... Four New Agers are regressed back to their past lives... An engineer invents a new way to spy on the competition... A viewer gets too deeply involved in a TV cop show... A young woman battles the spies, aliens and perverts that only she can see... and a dozen more stories! Andrew May is a former scientist who now works as a freelance writer and consultant, based in the South-West of England. He is fascinated by weird, offbeat and paranormal subjects, and has written numerous articles for magazines such as Fortean Times, UFO Matrix and Edge Science, as well as several books and ebooks. This book is the second of the three ‘Judex Books’. 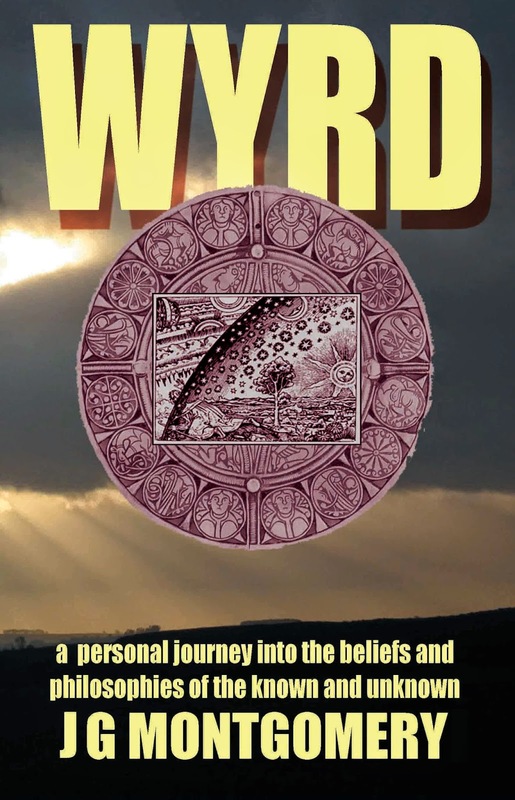 You can read this book without having read the first in the series, ‘The Universe Next Door’ (Smith, 2013), but it is important to understand that all the ideas that I explore in ‘The Vibrating Spirit’ begin with the personal discovery by sane, normal people, that Nobody Dies, that Life After Death actually happens, and the individual personality survives the death of the physical body and continues to live in what can only be described as ‘another universe’. This conclusion has been reached by myself and many thousands of others, ‘beyond reasonable doubt’, on the evidence of incontrovertible messages received from ‘dead’ people known to us, which have been passed on to us by Spiritual Mediums. This was the subject of the first book, and I maintained that this same personal discovery can be made by most people, and requires little more than an enquiring mind, a degree of patience, common sense, and a certain amount of luck. I also maintained that these investigations can be made outside any religious context, and that the whole subject can be explored and discussed without having to reach any conclusions about the existence, or nature, of God. The Judex books are not religious works. ‘The Vibrating Spirit’ starts then from the premise that we all survive death, and I will make no further attempt to justify or explain my reasons for believing this to be true. Anyone uncertain or sceptical about this should read the earlier book ‘The Universe Next Door’, in which I gave detailed advice on how to go about safely obtaining convincing evidence of Life After Death. In ‘The Universe Next Door’, I also analysed the content of these messages from Afterlife Communicators, as relayed by mediums and recorded in their thousands over the last century and a half, and I drew some conclusions about the nature of the existence that we are all apparently going to experience for ourselves, sooner or later. 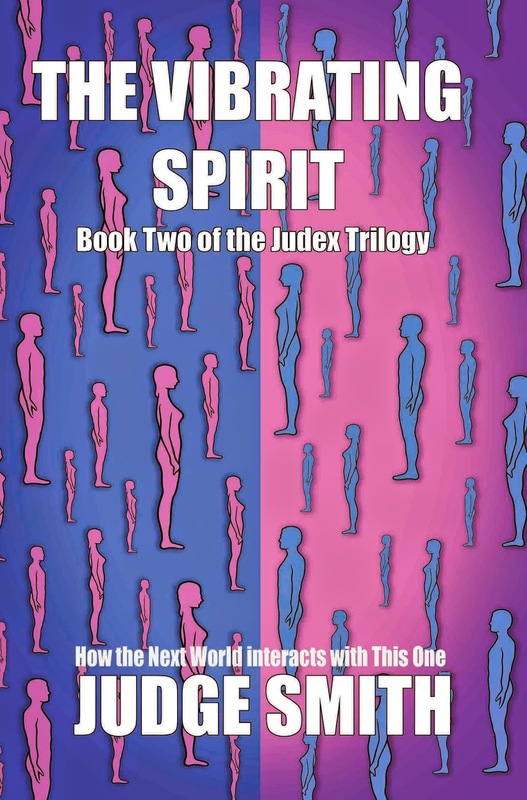 In ‘The Vibrating Spirit’ I am going to put forward a collection of proposals which, if true, might give us some idea of how the so-called ‘Physical Universe’ interacts with the so-called ‘Spiritual Universe’, and how these two states of existence influence each other. At the beginning of my previous book, I said that I wanted to write something simple, sensible and sane about a subject that can look complex, foolish, or completely crazy. 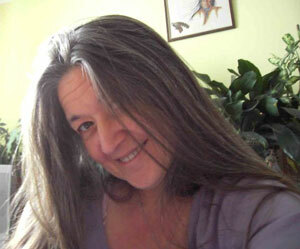 Only my readers can say whether or not I pulled it off, but now I have to try to do the same trick again. So here I go. Wish me luck, and feel free to interrupt. Giants, ghouls, haunted graveyards, monsters, dragons, faeries, and alien big cats. These things are generally described as being part of the 'paranormal', but they have been around for a very long time. Australian researcher J G Montgomery, presents a personal look at these phenomena and more. They are not paranormal at all, but perfectly normal. And that is the frightening thought! And because we are jolly nice people and it is what is euphemistically known as the festive season, we are - for a limited time over - letting you buy this excellent book at a ridiculously low price. We are bonkers us!!! 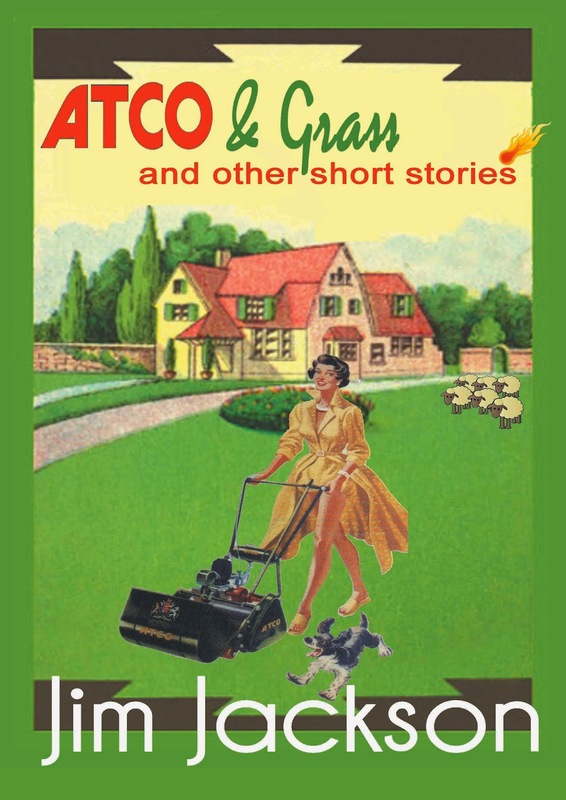 In this new anthology of short stories West Country author Jim Jackson takes a lead in the restoration of this once popular genre and in so doing escorts us upon a wide-ranging flight of the imagination. From Orpington and Africa to Australia and Georgia. From inner to outer space. Lovers, millionaires, scientists and fugitives from justice are just some of the characters he paints for us with colourful precision. Every narrative is a miniature masterpiece in a great storytelling tradition and an ideal diet for those who prefer to savour their literature in well-crafted bitesized portions.